Painting is finally done. 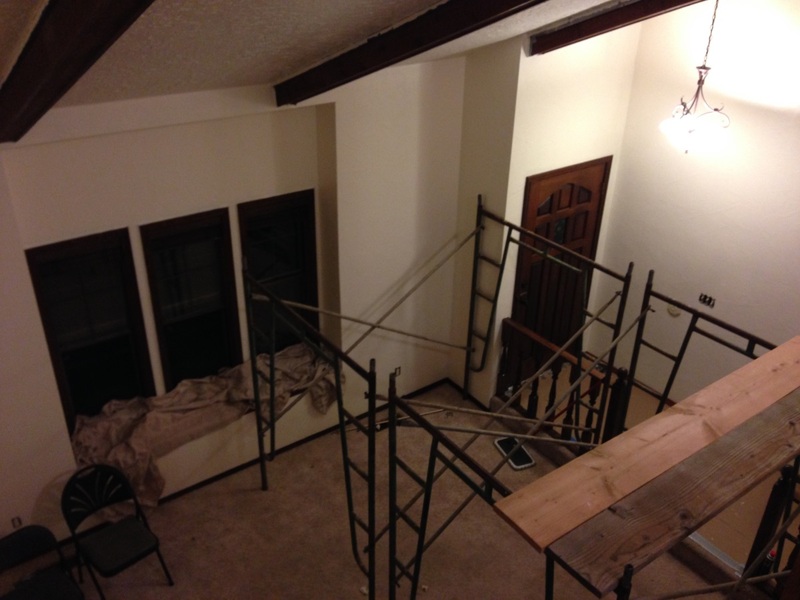 Had to borrow some scaffolding just to get around the beams in that ceiling. Outlets and switches are replaced. New carpet comes in tomorrow. Need to do a lot of cleanup. Moving in less than a week. I’d forgotten how much I did, since it’s been so long since I’ve had to. I knew it was going to make me regret taking on renovations, but part of me was hoping I was just being pessimistic, and it wouldn’t be as bad as all that. I wasn’t, and it is. Been over there until 1:00 A.M. in the morning every night for the last couple weeks, and there’s still so much to do…! 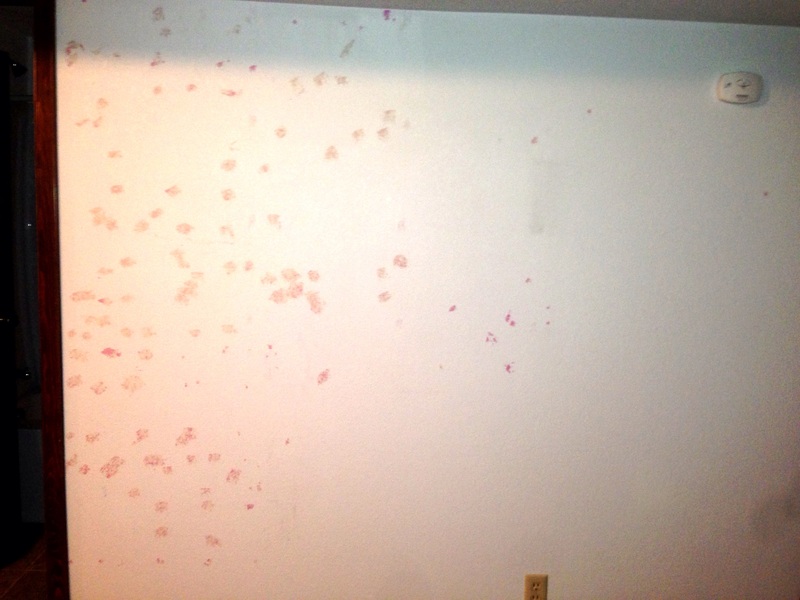 It’s mostly because the expensive supposedly-the-best paint I got is just terrible. Its coverage is streaky and uneven, showing splotches of the old stuff underneath even after two or three thick slathered-on coats. I was just hoping for a little more from $1,500 of paint, you know? But enough complaining. 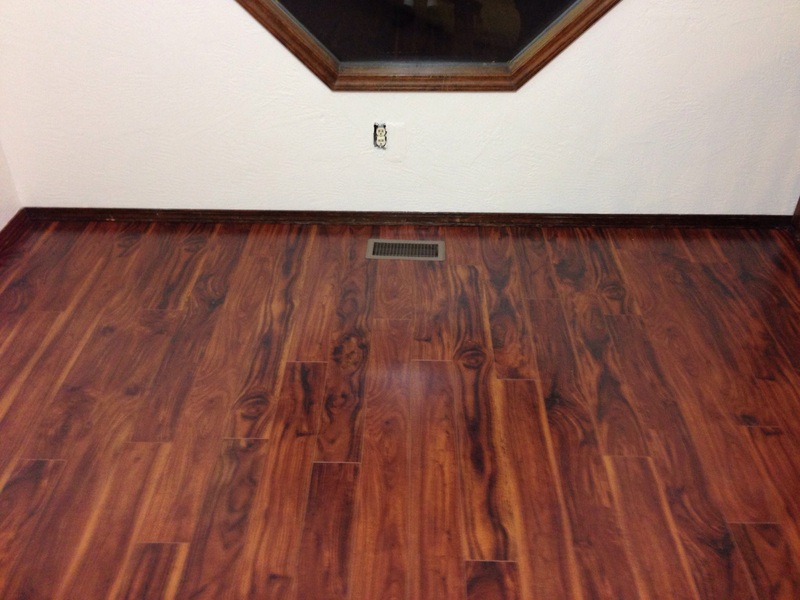 The first part of the new flooring is in, and it’s looking pretty snazzy. I think the previous owners of this place had a vendetta against walls. Pulled about three pounds of nails, screws, and hooks out of them last weekend. Here’s one wall, for example. All of those little spots are spackled holes. Finally closed on the short sale I’ve been chasing since April, despite all manner of aggravating complications. Now begins the arduous and all-consuming process of blasting through rapid renovations – and then the whole moving thing – all before needing to head back out to L.A. in a month.